Newbie Homeowner? Read This Book! Buying your first home is an exciting yet scary milestone in your life. Not only is it a long-term commitment, but it also requires a lot of research and planning. To get you started on your journey, Real Living curated useful tips to help you every step of the way via Real Living’s My First Home Book. From picking the right location and decorating like a pro to working within your budget, this resource will serve as your go-to guide and inspiration board. The book also includes a built-in notebook, a DIY-floor plan kit, and a home shopping checklist. 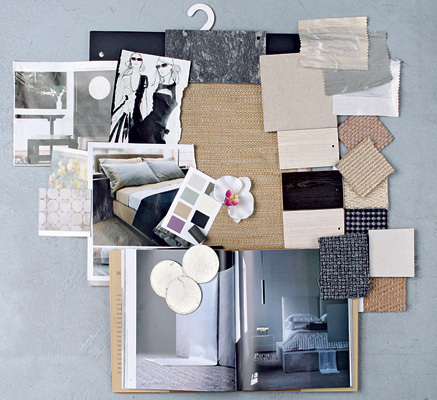 Let your creativity and personal style shine as you build your first home! Should you DIY or go pro? So you’ve bought your house, and you’re ready to renovate—should you do it on your own? Interior designer Wilmer Lopez gives his two cents on when it’s best to take home improvement matters into your own hands, and when to call the pros. 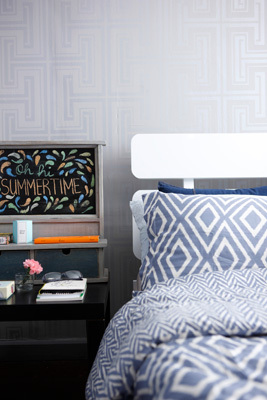 CHALK IT UP: An alternative to wall hangings above the bed: a chalkboard on the bedside table like this one in Kai and Cyrus Cruz’s bedroom, which they got from Heima (comes with drawers.) You can also make one with a panel, chalkboard paint, and any design you wish. 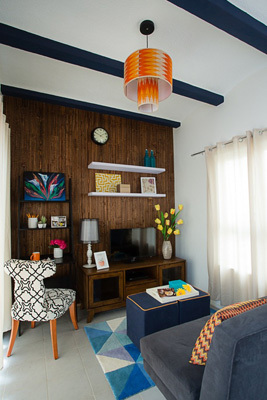 TEXTURE VENTURE: Interior designer Kimi Manuel dressed the Nostalji Enclave townhouse unit in dark wood from Rockstone to add texture to the space. 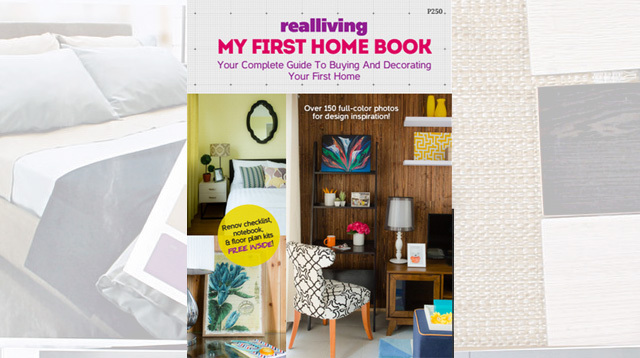 The Real Living My First Home Book is available on newsstands and in bookstores now! For more expert advice, photos, and other home-related inspiration visit www.realliving.com.ph.